Loren N. Vorlicky, MD, has a subspecialty certification in sports medicine. 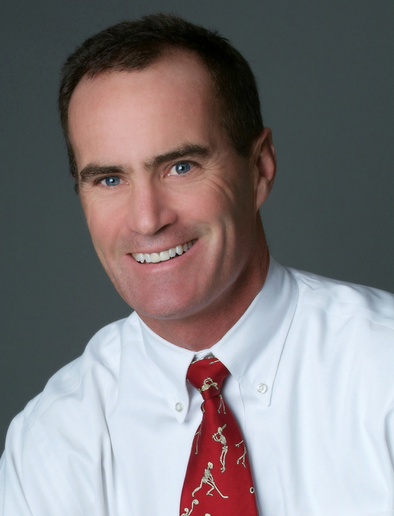 His areas of practice include orthopedic trauma and total joint replacement of the knee, hip and shoulder. He is experienced in complicated procedures, allowing his patients to return to their regular lifestyle. As a professional philosophy, Dr. Vorlicky is dedicated to improving health care. Over time he believes we can bend the cost curve and reduce the costs of healthcare, while actually improving the overall quality of health care. He stays on top of the latest trends in the industry by teaching in the residency program at the University of Minnesota Medical School and is a current board member at Twin Cities Orthopedics. Dr. Vorlicky takes great pride in the four years he spent practicing orthopedic medicine in the United States Navy, where he treated Navy SEALs. Dr. Vorlicky specializes in total joint replacement of the knee, hip and shoulder with the EXCEL program. Learn more about the EXCEL program here. Dr. Loren Vorlicky is a great orthopedic surgeon. He also is assisted by a tremendous physician’s assistant, Nathanael Hall, PA-C. I had a redo of a hip because a minimally invasive surgical technique done elsewhere did not work and came loose. The loose implant caused enormous pain over the course of a year. One year after that surgery, Dr. Vorlicky had to do a complete and total redo of the hip. It was a complicated surgery. Dr. Vorlicky is compassionate. He is a listener and empathetic and did a fabulous job in the redo of the first surgery. All of my pain, which was significant from the first surgery, is gone. I am very grateful to Dr. Vorlicky for listening and caring and also for doing a fabulous, fabulous job in the second surgery. I so appreciate the way Dr. Vorlicky and Nate have treated me during this entire difficult process. I am very grateful to have had such a great surgeon. Dr. Vorlicky and his staff are amazing. It’s been eight weeks and my new knee feels great. I am ready to schedule the other knee and I know I will receive outstanding care. My case was unique. I had had a total knee replacement surgery exactly one month prior to the day I fell and broke my ankle. Dr. Vorlicky’s team got me into surgery within 2 days. The entire team, including those who were part of the surgery, were awesome. They were not only knowledgeable, but treated me with dignity and many smiles. Dr. Vorlicky did an excellent job. My ankle healed well and after 2 years I am moving like a champ! I would recommend Dr. Vorlicky for any Orthopedic work. Bill S. (pictured on left), of Bloomington, had a total hip replacement done by Loren Vorlicky, MD (pictured on right) and was thrilled with the caring nature of the physician and staff at Twin Cities Orthopedics. “Everyone, and I mean everyone, has been so kind, encouraging and helpful,” he said.